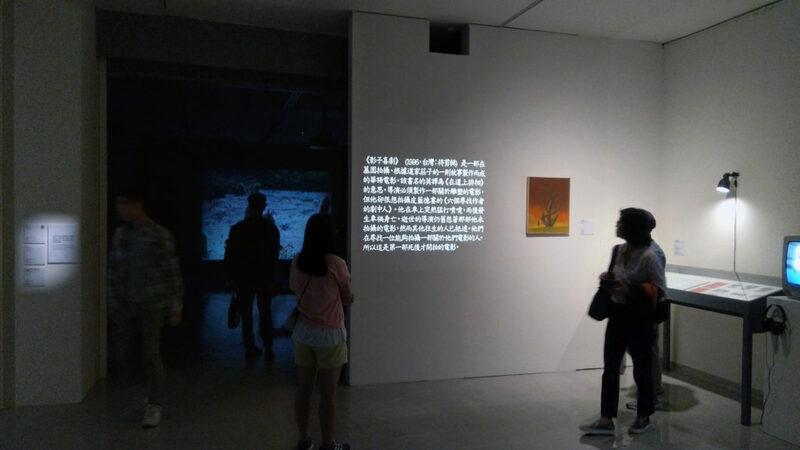 Curated by Jow-Jiun Gong and Yu-Ling Chou, the exhibition is organised under theme Wild Rhizome. 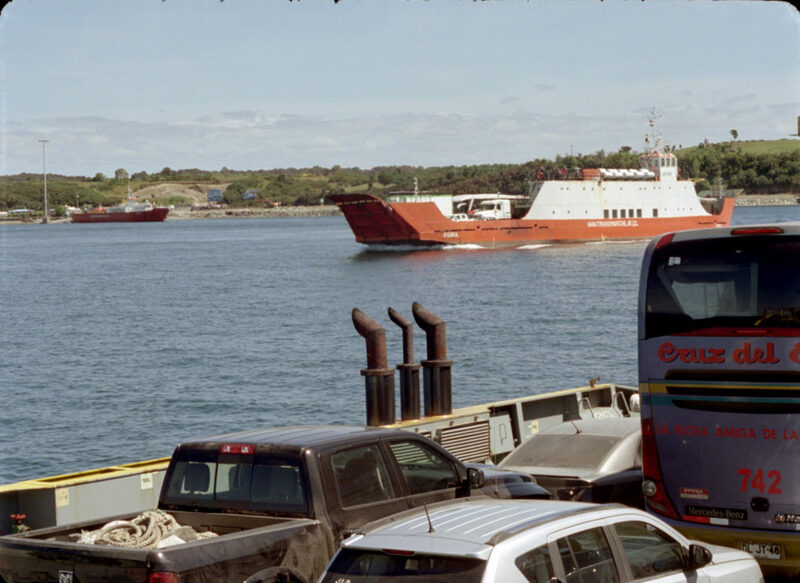 My project Double Ghosts was presented in the biennale alongside works by 32 artists/collectives. “Configured as overgrown and intertwined plants, Wild Rhizome endeavours to address a threefold subject: the organisational structure of artistic communities, the non-linear generation of artistic events, and the constellation of alternative histories. 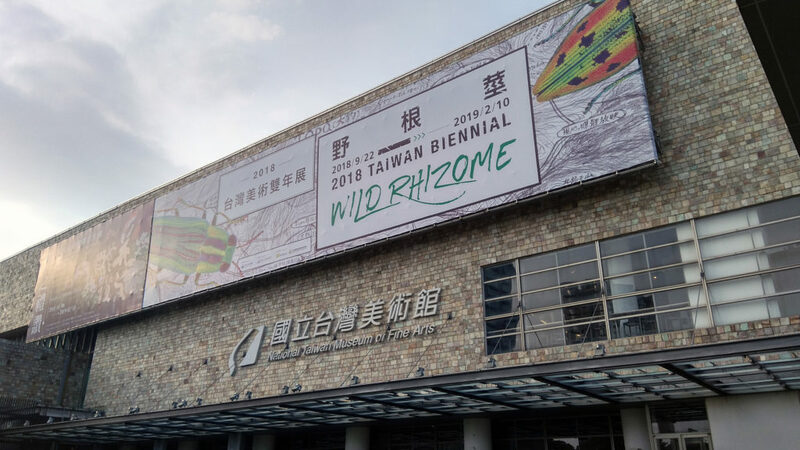 Following the arts springing up like wild grasses from interstitial crevices, Wild Rhizome is also a response to and an attempt at the paradigm shift of art history, an exploratory journey into alternative history. As we strive to tame the kaleidoscopic frontier of alternative histories, which focuses its gaze on indigenous art practices and historical traumas in the 20th and 21st centuries outside the mainstream Han culture. 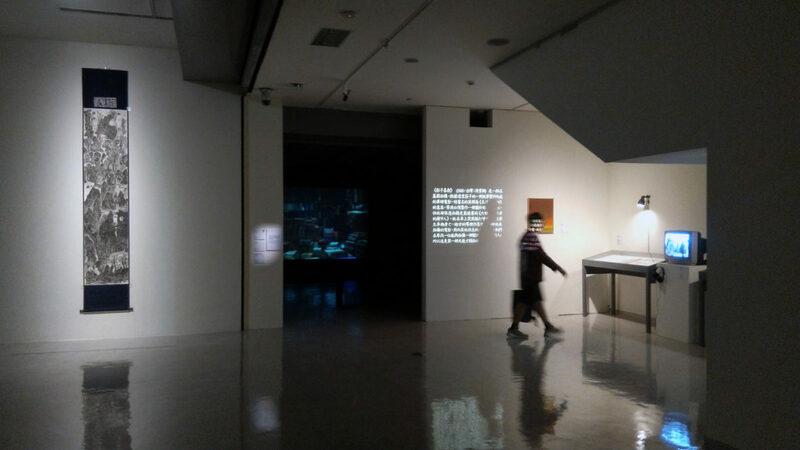 The exhibition seeks not only to distinguish between Taiwan’s contemporary art and the identity-driven politics of biennial exhibition, but also to liberate “Taiwan’s contemporary art,”, a term difficult to be accurately defined though, from Taiwan’s past history of colonization and immigration as well as from its nationalist ethos in search of the “national” origin, making it possible to reinvent this island by raising the question as to what Taiwan is on earth. Organised under five sub-themes — “Wild Mountains and Seas”, “Wild Images and Alternative Histories”, “Wild Body”, “Wild Constellation”, and “Wild Dwelling” — developed from the underlying concept of “wild rhizome” and presented in multifarious forms such as visual arts, cinema, theater, settlement, seminar, and workshop. The ethos of this specific venue overgrown with organic “wild rhizome” thus manifests itself in these event-driven cross-disciplinary experiments. My project Double Ghosts was installed in special configuration featuring with two projections, two challenge video work on monitors as well as archival items, production photographs and video documentation, historical painting by Yu Peng and newly commissioned painting by Kar Siu Lee. 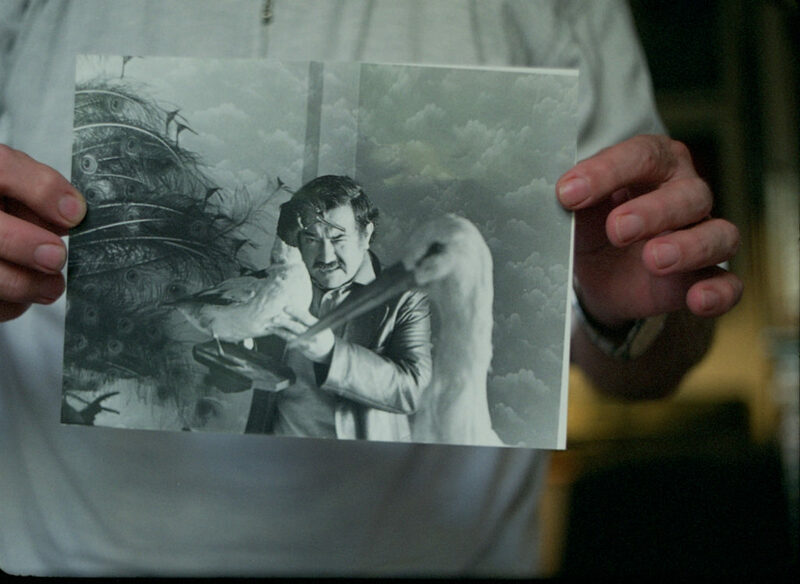 The evolving multi-part project Double Ghosts explores the status and potential of unrealised and fragmented histories from the legacy of Chilean filmmaker Raúl Ruiz (1941-2011) to animist cinematic traditions in Taiwan. 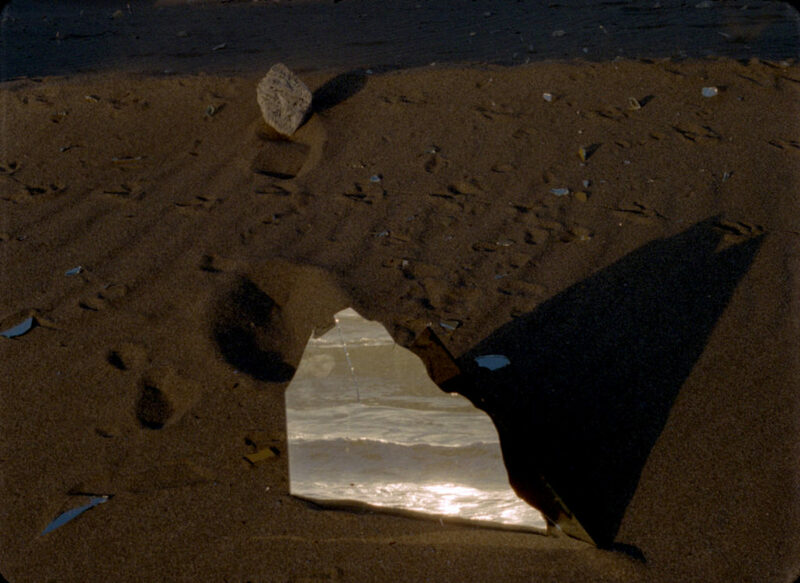 Considering broader issues from cultural displacement, exile and the changing nature of cinema as the hiatus between the real and the unreal Double Ghosts employs an open model of production and exhibition to activate divergent cultural, social and geographical contexts.The project takes as it’s starting point an unfinished film made by Chilean filmmaker Raúl Ruiz shot in Taiwan in 1995. Based in Paris since the late 1970s Ruiz came to Taiwan to film The Comedy of Shadows / La comedie des ombres with a script inspired by Taoist philosophy of Chuang Tzu’s Wandering on the Way and Luigi Pirandello’s Six Characters in Search of an Author. 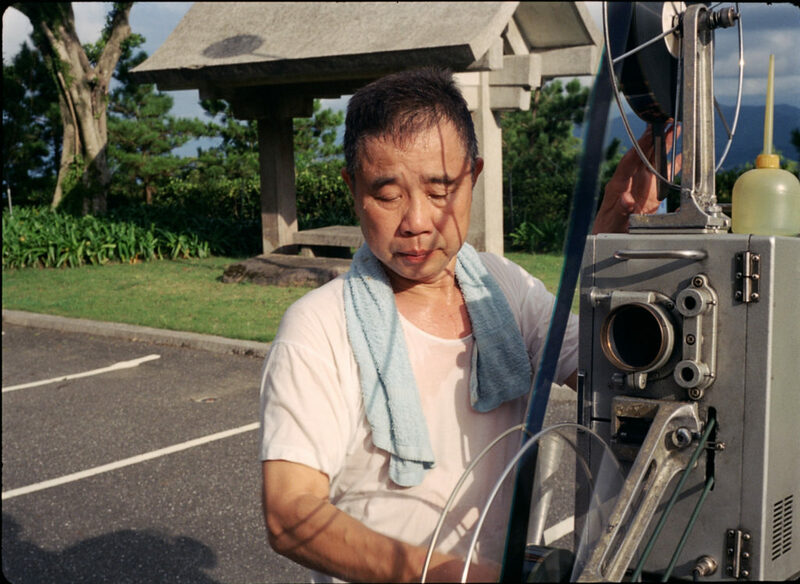 The project was filmed at Chin Sao Pao cemetery with a Taiwanese cast and crew but never finished. The incompleteness of Ruiz’s film is the starting point for Double Ghosts, that considers the echoes of this unrealized project to explore cinematic and political phantoms. 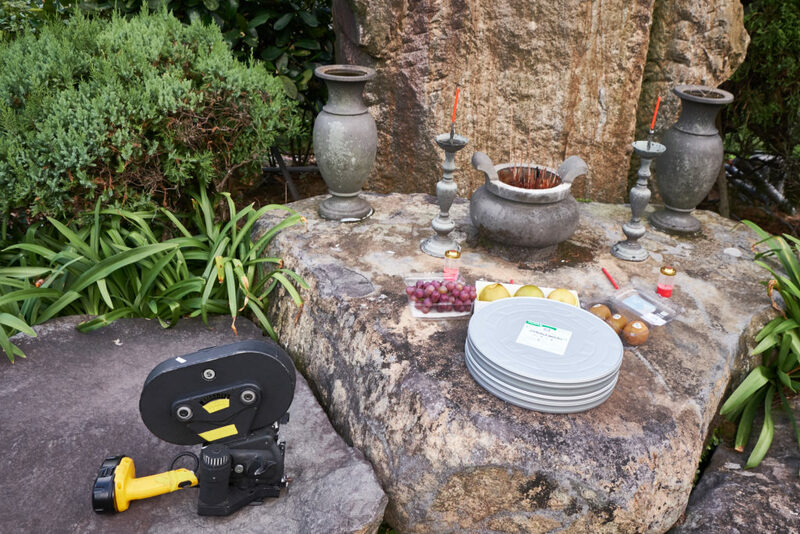 The installation draws together 35mm film, sound recordings, script fragments, photography and archival material assembled on location in Chile and Taiwan. 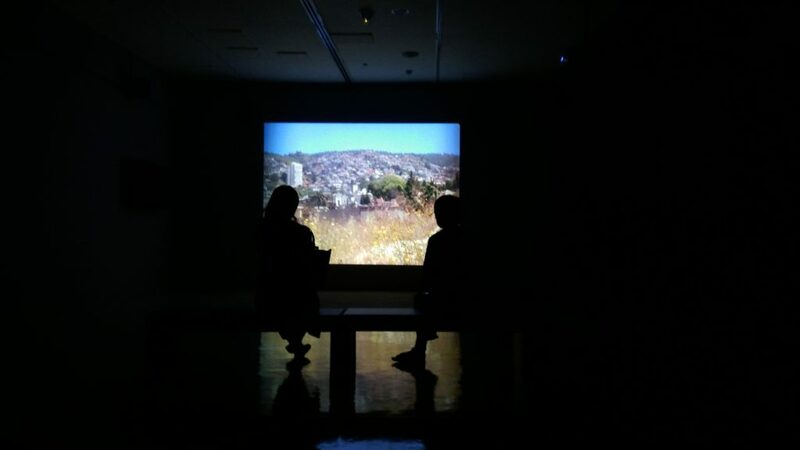 Material from a screening performance held at the Chin Sao Pao cemetery in early summer will also be featured in the installation. Together these materials are formed into new configurations throughout the exhibition proposing an archeological method for considering the legacy of lost histories from site specific screenings to ritual actions. 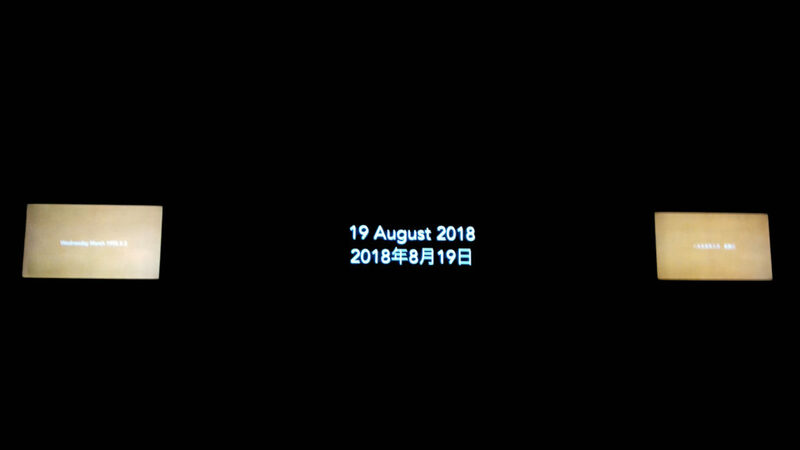 To accompany the biennale I curated outdoor projection of my Eyemo Rolls project ‘Like a boat floating in the moonlight / 像一隻船 在月夜裡搖呀搖‘ 6 October 2018 with work by Chang Chao-tang, Richard Yao-chi Chen, Mok Chui-yu & Li Ching, Shannon Te Ao, Chen Chieh-jen, Raúl Ruiz and CADA/Colectivo Acciones de Arte.